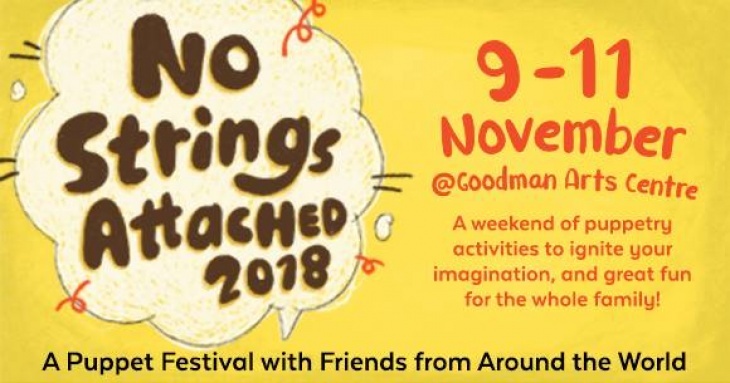 No Strings Attached is a festival organised by Paper Monkey Theatre that features puppetry artists from Asia and around the world. Third year in the running, the festival this year presents works from Australia, Italy, Thailand and Singapore. Come and watch a performance, chat with the artists and DIY your very own puppet. Be inspired and touched by the magical world of puppets. A magician is sent to train a new magician’s assistant who has no idea of what is going on. Besieged by rats, sausages and a duck with a personality crisis, the new assistant is faced with his own hilarious misfortune. This dynamic performance takes the audience on a whirlwind of comical events. Simply a theatre of delight presented by award-winning Sydney Puppet Theatre. The marionettes come alive as each of them tells a story, without words. Inspired by famous personalities like violinist Niccolò Paganini as well as ordinary people, the characters interact with the puppeteers and the audience in a magical way. At times moving, at times funny. Created by Di Filippo Marionette based in Italy, the show has won several awards at arts festivals in Europe recently. Welcome to their world! Ewe, a hardworking middle-aged woman, dies suddenly one day. But she does not realise that she is dead. Two crane birds appear and guide her to gradually accept the nature of death, which is just a part of the life process. This is the latest show created by the talented Surachai Petsangrot, or Chai, who is known for adapting techniques of puppetry in his theatrical works. Singapore’s very own Paper Monkey Theatre presents this fascinating tale from the classic Chinese novel Journey to the West. On their journey, Master Tang San Zang and his disciples run into the crafty Spider Demon, who traps Master Tang with her web to prepare for a feast! Audience will see exciting battle sequences in this show which is performed with traditional Teochew metal rod puppetry in a contemporary theatrical style. Recommended for children aged 4 and above. Duration of each show: 45 mins, including a post-show sharing. Admission is strictly by ticket. Each ticket admits one person only. Audience will sit on the floor. Limited chairs will be provided. DIY puppetry activity will be available on 10 and 11 Nov from 12.30pm to 5.30pm. I’m Ewe and the Two Crane Birds + Oh Rats! For school booking and enquiry, please call +65 6440 5706 or email info@papermonkey.com.sg.